How do you say “spring” in Italian? Eataly Restaurant Fest! We are excited to share that Eataly will welcome spring by kicking off Restaurant Fest at Eataly NYC Flatiron, Eataly NYC Downtown. Eataly Boston, Eataly Chicago, and Eataly Los Angeles. From March 18 to 31, guests can enjoy two-course pre-fixe lunch and dinner menus (at either $18 or $28, depending on the restaurant) and specially-priced Italian wine pairings from Eataly’s spring selection ($25). Participating restaurants include La Pizza & La Pasta in Boston, Osteria di Eataly in Chicago, Il Pesce Cucina in Los Angeles, Osteria della Pace in New York (Downtown), and Manzo Ristorante in New York (Flatiron), among many others. At Eataly, the talented chefs are very excited that spring is coming (i.e. fresh herbs, zesty flavors, colorful greens, and floral wines)! With much anticipation, their culinary experts have been creating new menus that reflect Italian springtime traditions. 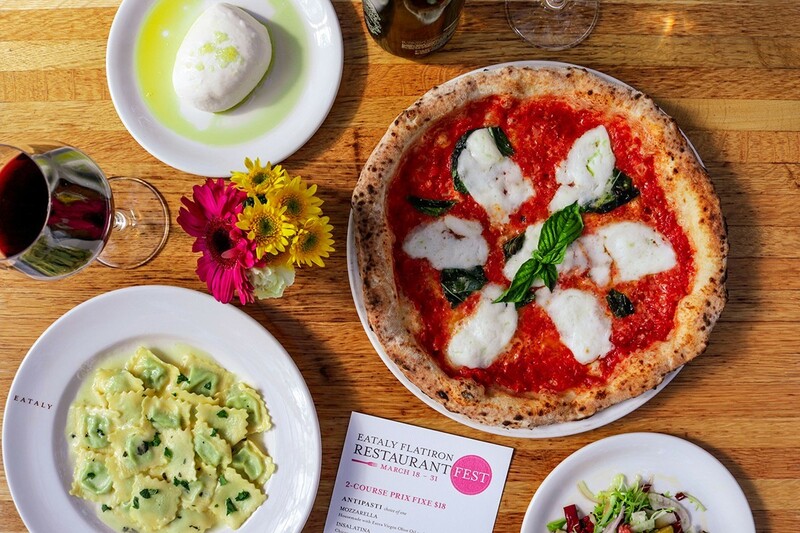 And, in true Italian fashion, they’re celebrating in a big way by hosting Eataly Restaurant Fest, this two-week long dining festival where you can truly sample what the season has to offer. Book your tables today to experience the best of Eataly for less.